June 14, 2018. 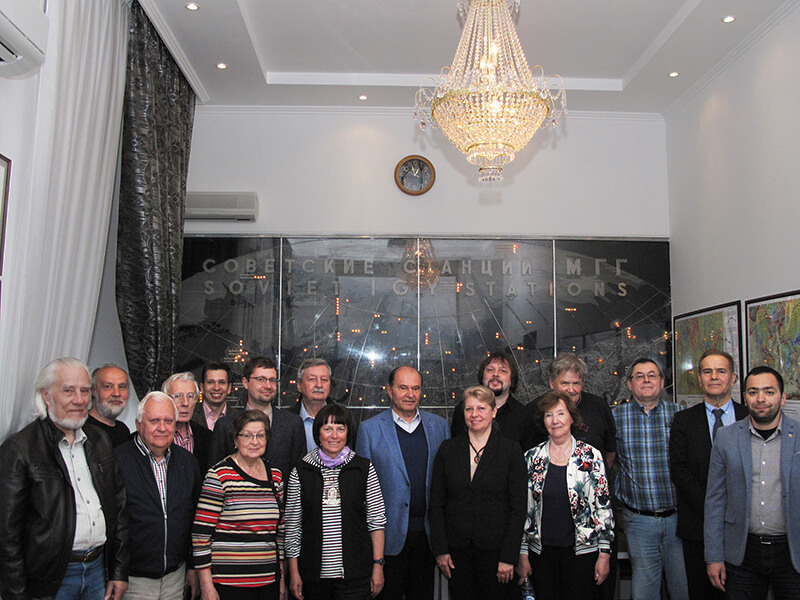 The 49th meeting of the Academic Council was held in the Belousov hall. The meeting adopted the Regulations on the Scientific Leader of GC RAS. This provision regulates the functions of the Scientific Leader. As a result of a secret vote, the Academic Council unanimously nominated Academician Alexei Gvishiani for the post. The final approval of the nominated candidature will be held at a meeting of the Bureau of the Earth Sciences Branch of RAS on June 18, 2018. Members of the GC RAS Academic Council (from left to right): V. A. Nechitailenko, S. M. Agayan, V. G. Getmanov, V. I. Kaftan, R. I. Krasnoperov, A. A. Soloviev, R. Yu. Lukianova, N. A. Sergeeva, A. D. Gvishiani, V. N. Morozov, T. A. Tatarinova, E. O. Kedrov, A. A. Lushnikov, Yu. S. Lyubovtseva, V. N. Tatarinov, V. B. Lapshin, B. A. Dzeboev.